While Mumbai City secured all three points, moving level on points with fourth-placed Bengaluru, they hardly looked a strong side in Chennai. For extended periods during the game, they looked devoid of ideas as they completed the game with a measly pass percentage of 68%. 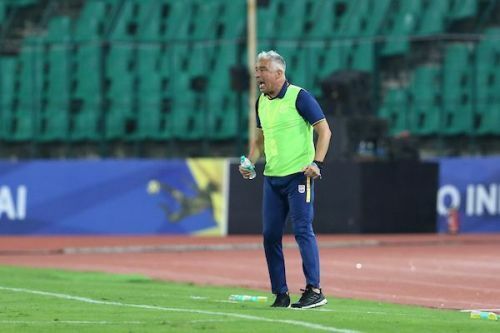 The Islanders created only three chances in 90 minutes, and Chennai head coach John Gregory even claimed Mumbai had no right to secure maximum points. Mumbai gaffer Jorge Costa admitted there’s room for improvement as well. After the final whistle, he said: “We go back home with three points. It's good but, obviously, we are far from perfect. We have a lot of work to do.” With only two-thirds of the season left, he must get to the drawing board quickly, with ATK and Kerala Blasters breathing down their neck.